Showing the science behind Complementary and Alternative Medicine simply and arming Pet Owners with information to make them even bigger Pet Heroes. Learn about natural modalities that can reduce veterinary visits by 85% (saving you money) and increase the health and longevity of your beloved pet by up to three times. 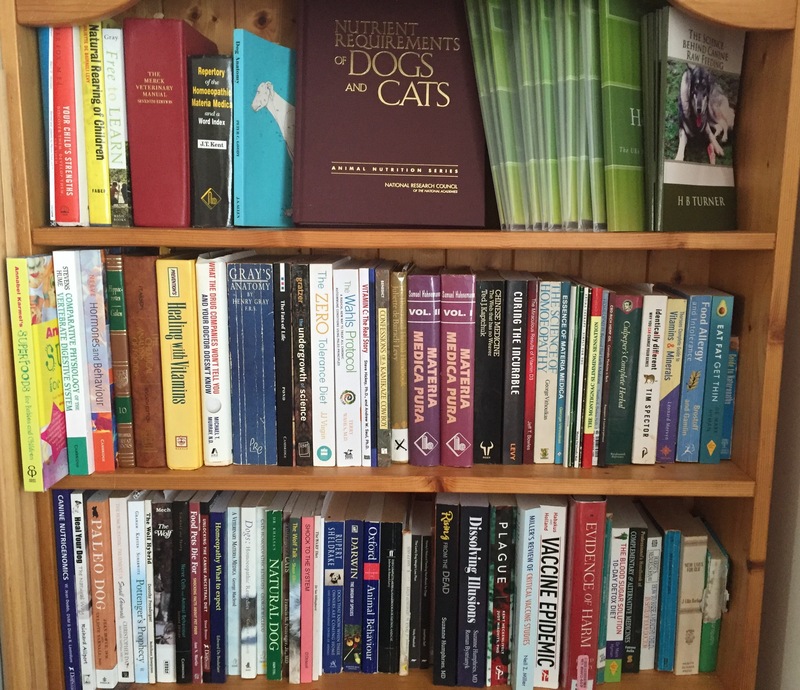 We also feature book reviews, product reviews, events, articles on individual animals and particular health issues, have regular sections ‘Let’s talk…’ and ‘Spotlight on…’ as well as news from the pet industry and regular updates from one of the worlds’ most famous dogs. We include an ‘Owner Odyssey’ explaining the journey an individual owner took with their dog in order to improve health naturally, and if you have a tale which you think fits, we’d love to hear from you. Our contributors show the science behind their processes, in order to increase the probability of conventional veterinary recognition. Digital copies are available from our online store or subscribe here, paperbacks can be found on Amazon. Legumes contain Phytic Acid which binds to nutrients in food preventing their absorption, earning them the label ‘anti-nutrients’, the knock on effects of this is highly dependent on intake quantity. 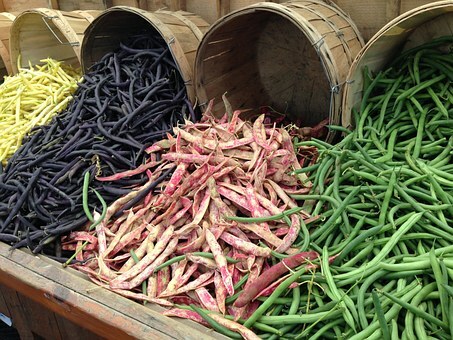 Legumes also contain galaco-ligosaccharides which are associated with digestive issues. However, the main issue with legumes is their lectin content. Lectins are known to damage the intestinal wall by reducing the speed of cell renewal, which leads to ‘leaky gut’, this causes digestive issues, specifically with vitamin and mineral absorption and autoimmune problems. Lectins are a plant form of defence that are resistant to digestion and lead to antibody production to them, which means certain lectin containing foods can literally be intolerable to a body, stimulating an immune response i.e. allergic reaction, and too much lectin consumption leads to vomiting, cramping and diarrhoea. Immune responses include skin rashes, joint pain and general inflammation, thankfully these will stop, as soon as consumption stops. 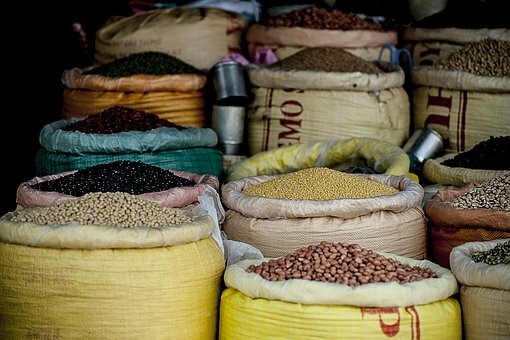 Legumes are also high in starch, which we know turns to sugar during the digestive process and feeds insulin resistance, weight gain and cancer. 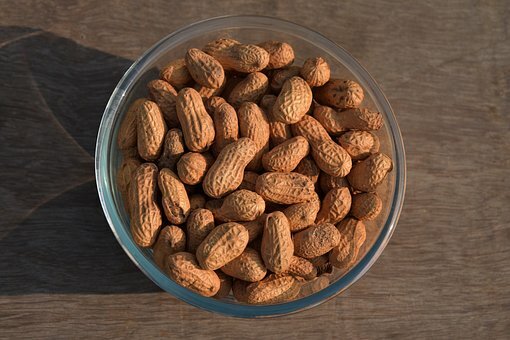 Peanuts (unless you’ve picked them yourself) contain the FDA declared “unavoidable contaminant” aflatoxins, long-term consumption of which are linked to cancer and other diseases. Soy, ignoring the fact that 93% of soy produced is GMO, as well as containing lectins and phytic acid which inhibit calcium, magnesium, copper, iron and zinc absorption, also contain phytoestrogens, which are hormone disruptors linked with infertility and some forms of cancer. Soy also contains trypsin inhibitors which have a negative effect on protein digestion and increase the bodies need for vitamins B12 and D, as well as a clot-promoting substance called Haemagglutin, which causes red blood cells to clump together, that can be painful and lead to health issues. 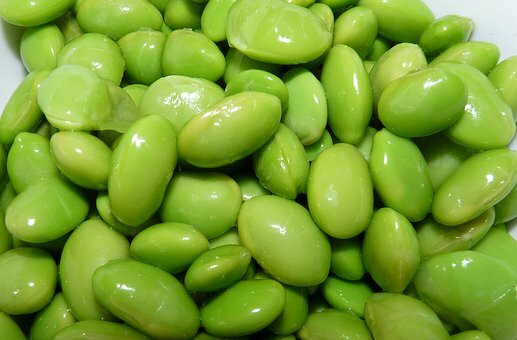 Its isoflavones have been shown to stimulate growth of cancer cells, its aluminium content is connected to kidney and nervous system issues and soys high levels of goitrogens block the production of thyroid hormone. Unfortunately the pet food industry have adopted a number of legumes as ‘protein sources’ instead of the species appropriate protein source meat. i.e. soy in ‘cat food’ (those meaty pieces) and ‘pea protein’ in kibble, also peanut husks are used as a source of fibre. There are a number of ways that lectins can be processed that reduce the negative effects, such as sprouting and fermenting, however these processes are costly and not normally utilised in ‘pet food’ or even in home preparation. Bearing all of this in mind you can possibly see why personally I recommend against feeding legumes, and in fact other than the odd handful of peanuts or spoonful of hummus, I don’t eat them myself (thankfully coffee beans are not legumes lol). Spotlight on…. To Cook, or Not to Cook, that is the Question. The quality of a proteins primary structure has an effect on its nutritional value and functionality upon gastrointestinal digestion (Yu et al. 2016) Cooking ‘denatures proteins, which destroys both the secondary and tertiary structures of proteins, disrupting the normal alpha-helix and beta sheets in a protein and uncoiling it into a random shape (Elmhurst University N.D.) it also effects colour (Suman & Joseph, 2013). Tenderness (Christensen et al. 2000) and gelation (Sun and Holley, 2011). Interestingly whilst digestibility is lower in overcooked meat, it has a higher ‘protein’ level (Oberli et al, 2016), which would be listed on the proximate analysis of kibble and canned goods, however, the ageing and age related disease creating effects of cooked meats are increased when combined with sugars (found in the starches needed to form kibble and used as a filler). When death occurs and circulation ceases lactic acid is produced and pH lowers until glycolytic enzymes become denatured. Once the ATP used for these processes is gone rigor mortis sets in, degrading proteins (Yu et al. 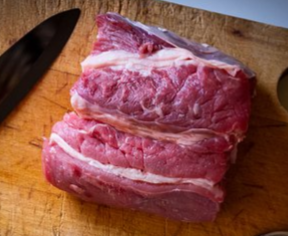 2016), therefore the longer the meat has been dead, the more degraded the proteins, this means that your 21 day hung steak is tender, but has already been denatured by the degradation process. Carnivores in the wild eat quickly, possibly in order to consume the meat prior to it’s nutritional value being depleted. The effects on the three levels of structural integrity vary dependent on the way the proteins are cooked and the temperature reached, however in general proteins start to denature at 40°C/105.4F, amino acid levels are also negatively effected, as are enzymes efficiencies, Tryptophan, Tyrosine, Phenylalanine etc. leading to incomplete digestion. A massive increase in protein carbonyls occurs which modifies histadine, cysteine and lysine and is also known as oxidative stress, and ammonia release increases with temperature/cooking time. Reading hundreds of papers on the effect of cooking on proteins, from milk to meat, the resultant denaturing, loss of nutrients and ageing effect, it’s not difficult to see how kibble and canned pet food, which is cooked at very high temperatures of long periods of time and potentially under pressure (extrusion process) which increases the loss of nutrients, is leading to our pets getting age related diseases younger and younger in life, and that it is negatively effecting lifespan. The data is quite clear on that as over a 10 year period a 71% shift to kibble reduced the average age at which a dog is considered ‘geriatric’ from 8.85 to 7, and increased the average vet bill by 410%. However, when you take into account that our simple processes of obtaining meat, and the delays that occur from death to plate also have an effect, it seems even more important that the food we provide our pets is as fresh and raw as possible for optimum nutrition. This information is not new, in fact Francis M. Pottenger did his 10 year study on Cats between 1932 and 1942, and that was raw compared to cooked to the same level that we humans cook our food (Pottenger, 1983). His study clearly showed that carnivores fed cooked diets were more susceptible to parasites, suffered chronic diseases, generationally increased deformities and infertility. What the science does do is break the information down and prove Pottengers findings. In conclusion, whilst cooking increases aroma & palatability for people, it is neither species appropriate or recommended for our pets, as it reduces protein quality, nutrient density & increases consumer ageing & age related diseases. Cai W, Ramdas M, Zhu L, Chen X, Striker GE, Vlassara H. 2012. Oral advanced glycation endproducts (AGEs) promote insulin resistance and diabetes by depleting the antioxidant defenses AGE receptor-1 and sirtuin 1. Proc Natl Acad Sci USA109:15888–93. Estévez M, Luna C. 2016. Dietary protein oxidation: a silent threat to human health? Crit Rev Food Sci Nutr doi: 10.1080/10408398.2016.1165182. in press. Li ZL, Mo L, Le G, Shi Y. 2014. Oxidized casein impairs antioxidant defense system and induces hepatic and renal injury in mice. Food Chem Toxicol 64:86–93. Oberli M, Lan A, Khodorova N, Santé-Lhoutellier V, Walker F, Piedcoq J, Davila A-M, Blachier F, Tomé D, Fromentin G, Gaudichon C. 2016. Compared with raw bovine meat, boiling but not grilling, barbecuing, or roasting decreases protein digestibility without any major consequences for intestinal mucosa in rats, although the daily ingestion of bovine meat induces histologic modifications in the colon. J Nutr 146:1506–13. Poulsen MW, Hedegaard RV, Andersen JM, de Courten B, Bügel S, Nielsen J, Skibsted LH, Dragsted LO. 2013. Advanced glycation endproducts in food and their effects on health. Food Chem Toxicol 60:10–37. Simonetti A, Gambacorta E, Perna A. 2016. Antioxidative and antihypertensive activities of pig meat before and after cooking and in vitro gastrointestinal digestion: comparison between Italian autochthonous pig Suino Nero Lucano and a modern crossbred pig. Food Chem 212:590–5. Soladoye OP, Juárez ML, Aalhus JL, Shand P, Estévez M. 2015. Protein oxidation in processed meat: mechanisms and potential implications on human health. Comp Rev Food Sci Food Safety 14:106–22. Suman SP, Joseph P. 2013. Myoglobin chemistry and meat color. Annu Rev Food Sci Technol 4:79–99. Sun XD, Holley RA. 2011. Factors influencing gel formation by myofibrillar proteins in muscle foods. Comp Rev Food Sci Food Safety 10:33–51. On Thursday 2 November 2017 the RCVS Council approved a new position statement on the veterinary use of complementary and alternative medicines, including homeopathy. “We have recently been asked questions about complementary and alternative medicines and treatments in general and homeopathy in particular. “We would like to highlight our commitment to promoting the advancement of veterinary medicine upon sound scientific principles and to re-iterate the fundamental obligation upon our members as practitioners within a science-based profession which is to make animal welfare their first consideration. “In fulfilling this obligation, we expect that treatments offered by veterinary surgeons are underpinned by a recognised evidence base or sound scientific principles. Veterinary surgeons should not make unproven claims about any treatments, including prophylactic treatments. We are deeply disappointed that the Royal College of Veterinary Surgeons (RCVS) has chosen to step outside its remit and make such an ill-considered and misinformed statement regarding Complementary and Alternative Medicines (CAM) in general, and Homeopathy in particular. The RCVS mission statement is “Setting, upholding and advancing the educational, ethical and clinical standards of Veterinary Surgeons and Veterinary Nurses” In making this statement on CAM the RCVS fails its mission on so many levels, but in particular when one considers ethics. It is perhaps no coincidence that it should do so when there is an explosion of interest in CAM, including Homeopathy, in the agricultural sector where the drive is to reduce and replace dependence on antibiotics in light of Antibiotic Resistance (AMR) concerns, and some of the most successful methods so far are proving to be those defined as CAM. It is fact that some of the largest “conventional” veterinary practices in the UK dealing with animal production for food are the ones leading the way on this, seeking out treatments as “alternative”, and Homeopathy is proving one of the successful modalities. In singling out the issue of prophylactic treatments – the very use of CAM for which in agriculture significantly threatens the finances of the Pharmaceutical Industry – the RCVS puts itself into a position where it can be accused of putting profits before probity, and corporations before conscience – or is it just naïve and completely out of touch? The RCVS statement and the associated debates, have created a moral imperative for many mainstream practices of the profession to be publicly examined in detail. We are sure over the coming weeks, months and years there will be uncomfortable times ahead for all branches of the profession. It is just not acceptable for the mainstream body of vets to claim the moral high ground when the evidence base for much of Veterinary Science is poor at best. There is plenty of evidence of poor and demonstrably harmful practices ignored in the modern corporate world in favour of targets and profitability. Industry business journals even run articles on “mining” the best clients for cash. History tells us that to question the RCVS and the status quo is a dangerous path. In making the statement as it has, regarding CAM in general and Homeopathy in particular, the RCVS has shown its lack of consideration for those affected. This includes those who own and care for animals where their freedom of choice may be restricted. What of patients already on treatments they may now be denied? There is no published impact assessment or route to compensation for those whose practices are now suffering. In creating a complainant’s charter, the RCVS Council must accept that it needs to face up to questions of its own. It is arguably now complicit in deception of the public, which its very existence is meant to protect. So what of the evidence argument against CAM? There is in fact very good evidence for much of CAM, including and especially Homeopathy, with many peer-reviewed papers in a number of Journals. However, these papers are routinely ignored by the establishment as they are published in CAM journals. This is bizarre when one considers that a parasitologist will publish in a journal of parasitology, a pharmacist in a journal of pharmacology, so why not a homeopath in the journal “Homeopathy”? A level playing field regarding evidence it is not. The bar is raised so high by the RCVS for CAM that it can never compete. Funding for research has been historically blocked by bodies such as the BVA. When the mainstream journals are sponsored by Big Pharma and other vested interests, so that Editors dare not publish CAM papers, it is unfair and corrupt to criticise CAM in this way. The RCVS’s own Science Committee in this debate noted that the evidence base for a number of accepted “conventional” treatments is lacking so why pick on CAM, which has as good if not better in place, and is not subject to the same fallacies that can contaminate the most prestigious journals when researcher and publisher bias and fraud are led by the money men? Clients actively seek out CAM therapies for their animals as conventional medicines regularly fail or produce unacceptable side effects. Homeopathy has previously been recognised in the RCVS register as having a specialist qualification (it still does), and is independently examined and regulated, which is perhaps why it attracts the most ire of the CAM options. Homeopathy is in fact provided for in UK and EU Legislation. It is required to be available, cannot be banned without a change in the Law, and it behoves the profession to embrace it, even if in the minority. A witch-hunt has been conducted on an unprecedented scale in the profession. This has been aided by the support on social media of some Past Presidents of the RCVS and BVA, RCVS Council members and by the profession’s media chiefs. It is time for it to stop. It discredits those making and supporting the attacks on colleagues, discredits the profession and, by disseminating false conclusions to the media, adds to the growing and damaging public distrust of science and of our profession. In making such a statement as it now has, the RCVS has lost all credibility in the Evidence Based Medicine debate, and has eschewed the moral integrity required to regulate the profession. Its statement should be withdrawn immediately. 5th November 2017. 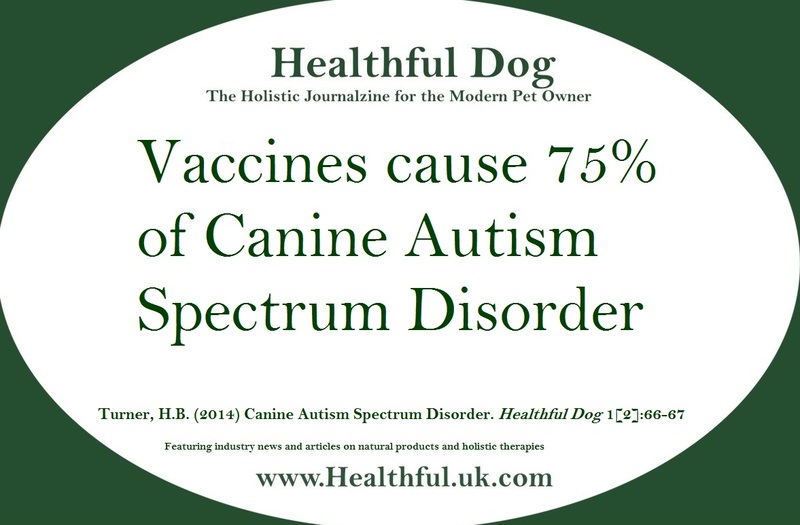 All at Healthful Dog specialise in Complementary Therapies, we publish this magazine to raise awareness about the advantages of Holistic treatments and detail the science behind them. We are more than disappointed with the RCVS’ current decision/opinion. There is plenty of science backing homeopathy, in fact Hahnemann himself performed thorough scientific experiments whilst developing his Materia Media and we’ve witnessed where it has proven far superior to the capabilities of conventional veterinary practice. We therefore back the BAHVS 100% and will continue to educate pet owners on alternative ways to treat the cause of disease as well as increasing standard of living and longevity naturally. Online advice – is it trustworthy? As a Canine Nutritionist who tailored 4 yrs at University in order to be qualified I find myself disappointed at people listening to advice from people who don’t actually know what they’re talking about: as do my colleagues. Thankfully the poster questioned the person claiming to be qualified. Be aware that there are a great deal of courses available online that have either no accreditation at all, or teach biased misinformation or even both. When it comes to pet nutrition it is my personal opinion that anyone not attempting to teach you to feed a raw/fresh species appropriate diet isn’t coming from a place of knowledge. If your ‘nutrient advice’ is coming from someone who doesn’t own a copy, or hasn’t even heard of it, their advice is questionable. Please be aware that not all advice is good, please do your research. And a small number of nutritionists over and above those that contribute to our awesome magazine. These people are often too busy to be answering every question in a chat group. Please be wary of bad advice and remember, just because someone has been doing something for years, it doesn’t mean they’ve got it right. February the 4th was ‘World Cancer Day’ and May is Pet Cancer Awareness Month, so we wanted to take a look at Cancer. Cancer is a generic name for over 200 different types of abnormal cell growth, which are stimulated by genetics. Whilst the initiator is of genetic origin, this can be hereditary or epigenetic, epigenetic factors can include retrovirus, DNA viruses, carcinogens, oncogenes (Narita, 2014) and/or food/environmental factors (90-95% of cases (Anand et al. 2008)). The genetic component occurs in deoxyribonucleic acid (DNA), the paired chain being the structure, each individual part causing the action. These acids produce proteins, each protein having an actionable effect on others in the chain, either stimulating or halting further protein release. The position of each of these is described as expressed, gene expression is switched on (i.e. having an action) or switched off (no action). An alteration in expression can therefore have a cascade effect dependent on how many further parts of the chain its’ particular protein production would have/will effect. 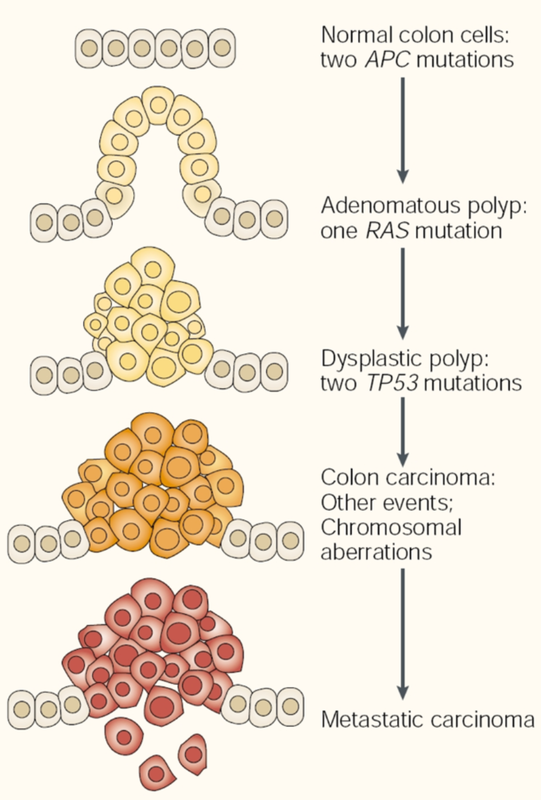 Genes can hold hereditary information on cancer production, which can be expressed as ‘switched on or off’ at birth, or can be ‘switched on or off’ throughout life through stochastic events. Alterations in gene expression have been identified as being through a trauma, change in circumstances, change in environment or even through changes caused by differentials in what goes into an animal, be it ingested, inhaled, injected or a topical application (see canine transmissible cancer article). Inheritable cancer in humans attributes for 5-10% of cancers (American Cancer Society, 2014), whereas tobacco is attributed to 22% (World Health Organisation, 2014), and obesity 10% (World Health Organisation, 2014). There is evidence that a healthy diet contributes to cancer prevention (Lawrence et al. 2012: Parkin et al. 2011: Anand et al. 2008) and we have known for some time that there is a substantial link between diet and cancer, through generations of unsuitable diet (Buell & Dunn, 1965), it has also been established that gut micro-flora establishing better digestion is linked with cancer prevention (Hullar et al. 2014). During development there are several stages of cell replication, but it is always stimulated by a combination of genetic factors and cancer cell metabolism (Frezza, 2014). If cancer gets into Adult Stem Cells then growth can increase at an exponential rate, due to the bodies own defence system speeding up replication in the face of what it considers injury or trauma, as these cells are ’immortal’ rather than wound healing/repair an overgrown occurs (Jones, 2015), this overgrowth is referred to as a tumour. 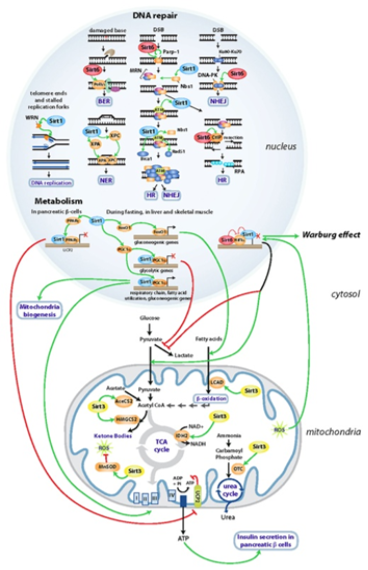 The metabolism of cancer cells is quite intricate and can result in differing metabolism within cell mitochondria, however common to all types of cancer is the conversion of glycogen to higher amounts of lactate than in normal cells and reduced quantities of Carbon Dioxide (CO2) output. The other commonality between these cells is that they are all highly acidic and hypoxic (lacking in Oxygen (O2)) (Frezza, 2014). The most often used conventional therapy (in over 50% of cases) effects p53, a tumour protein that has been shown to have the effect of either tumour suppression or metastasis when given to rats that did not suffer from toxic poisoning after radiation therapy (Narita, 2014). In conventional therapy rat model experiments, those rats that did not suffer from radiation poisoning and went on to receive chemotherapy had two outcomes, either tumour suppression or tumour metastisis (Narita, 2014), chemotherapy having an efficacy rate of between 2.1 and 2.3% (Morgan et al. 2004), of those that do achieve remission, there is a subsequent risk of Leukaemia (Dertinger et al. 2014: Curtis et al. 1992: Kaldor et al. 1990). In veterinary oncology it is not common to use radiation therapy, although recent advances in the protocol have been made (LaRue & Custis, 2014), only chemotherapy is generally used, in human trials chemotherapy alone shows a recurrence rate of 93% (Balmaceda et al. 1996). Standard Veterinary chemotherapy utilises the drugs Vincristine, Doxorubicin and Cyclophosphamide: post surgical chemotherapy survival rates average between 107 and 257 days (Sorenmo et al. 2004: Hammer et al. 1991), whilst this data is old, these drugs are still used today. is science missing the bigger picture? However, the latest drugs being produced target prevention of the differential in small molecular metabolites within the mitochondria of each cell (Frezza, 2014). During conventional therapy few nutritional recommendations are given, however, the use of microwave ovens is not recommended. Hassani et al. (2014) shows that microwaved food produces oxidative stress, induces hepatoxicity via increased lipid peroxidation and alters lipid metabolism. Populations living in areas of high pesticide use have a 1.25 to 3.45 times increased risk of cancer (Parron et al. 2014) and links have been made between genetically engineered crops and, hypertension, stroke, diabetes, obesity, lipoprotein metabolism disorder, Alzheimer’s, dementia, Parkinson’s, Multiple Sclerosis, Autism, Inflammatory Bowel Disease, Intestinal Infections, End stage renal disease, acute kidney failure, cancer of the thyroid, liver, bladder, pancreas, kidney and myeloid leukaemia (Swanson et al. 2014). Therefore avoidance of GMO’s and switching to organic foods, may be advisable. This list would be on our recommendations list for avoidance at all costs. Put simply, just as with anything alive, cancer has to ‘eat’, as cancer cell metabolism cannot occur without glycogen (Frezza, 2014), removing or at least reducing the quantity in diet may lead to tumour starvation and therefore regression, indeed there is much anecdotal evidence from people who have drastically changed their diet and successfully gone into full remission. A helpful reference for this would be the Glycemic Index (GI) of foods, which shows very clearly the glycose levels in foods. N.B. There are journal articles claiming that natural supplements have no health benefit. An investigation into a number of these showed the use of synthetic products and/or insufficient quantities. The earliest evidence of cancer heralds back to one Egyptian human mummy from around 3000 BC, however has been found to be very rare in that time. There is one set of Neanderthal bones that possibly had cancer, but nothing else. It wasn’t until the 17th century that descriptions for operations for cancer were recorded, most notably in chimney sweeps, who were exposed to toxins on a daily basis. Whilst cancer has been found in dinosaurs from the Cretaceous period, it is only found in Hadrosaurs, with a 1 in 10,000 frequency and is presumed to be due to some environmental mutagen (Rothschild et al. 2003), quite a differential to the current statistic of 1 in 3. Due to tumours propensity to be hypoxic, Oxygen therapy is gaining in popularity. In fact tumours grown in laboratories die off on their own if exposed to normal oxygen levels, and have to be grown in levels below 3% O2 (Narita, 2015). Increased oxygen is proposed to boost the bodies own immune system into destruction of Cancer cells. Current O2 levels are 20.95% world wide, this is considered to be oxygen deficient (Ho, 2009), however it is down to between 12% & 17% over major cities. Large scale use of chemical pesticides started in earnest after the second World War. The first incarnations were highly toxic i.e. arsenic and hydrogen cyanide, these were both ineffective and toxic to the consumer. Second generation pesticides were synthetic a well known example of which is dichlorodiphenyltrichloroethane (DDT) discovered in 1939 by Paul Muller, who was subsequently awarded the Nobel Prize in 1948. It was not until 1962 with the release of the legendary book ‘Silent Spring’ by Rachel Carson that anyone other than the her appeared to question its’ environmental effects, never the less it was manufactured right up until 2009. Third generation pesticides are water soluble and acutely toxic (Muir, 2012) and have been linked to adverse health effects including cancer (US EPA, 2006), most notably non-Hodgkin lymphoma and leukaemia (Bassil et al. 2007), as well as neurological effects, birth defects, foetal death (Sanborn et al. 2007) and neurodevelopmental disorder (Jurewicz & Hanke, 2008: Mink et al. 2011: Wigle et al. 2008: Weselak et al. 2007). There is of course still the issue of other environmental chemicals, chemicals and preservatives found in prepared foods, toiletries, cleaning products etc., hormone disruptors (Henderson et al. 2000) (i.e. plastic food packaging), feline vaccines (Hershey et al. 2005: McNiel, 2001: Morris et al. 2001: McEntee & Page, 2001) plus hundreds of studies on many other vaccines (Blaylock, 2011, Bollinger, 2014) and radiation (Huang et al. 2014), that have also been associated with cancer. Whilst there is much data on metastasis and it’s process appearing to be exactly like that of a fungal bloom, in that once metastatic cancer cells enter the blood stream from the original malignant tumour they spread throughout the body forming micro-metastases with a 0.02% of cell survival rate (Kienast et al. 2010). A whole host of data can be boiled down to the fact that a strong immune system can prevent metastasis, however, metatasis will occur in the body of an animal or person with a compromised immune system and once it does conventional medicine states it is fatal (Vanharanta, 2015); whether the immune system has been negatively effected by inflammatory food intake, environmental pressures, genetic issues or by radiation and/or chemotherapy. This is why many alternative treatments for cancer (such as CV247) concentrate on supporting the immune system to naturally destroy the cancer and thus prevent it’s re-occurrence. GMO’s and vaccines lead to immunodeficiency; starch rich and sugary foods (simple carbohydrates) with a high glycemic index are known to feed both candida and cancer, they also promote leaky gut syndrome. Therefore if indeed ‘Cancer is a Fungus’, that is Candida according to Simoncini (2007), and it certainly acts like it, this process allows its’ access into the blood stream, where it can circulate, get into cells and replicate. 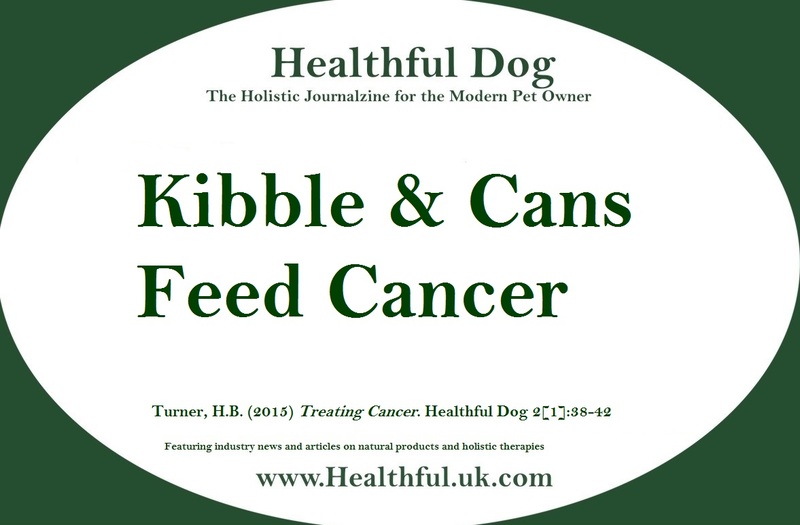 Our modern day society contains a plethora of carcinogens that become difficult to avoid, however, it appears that a species appropriate raw diet, containing no simple carbohydrates, preferably from organic sources, with sufficient amino acids, know to halt cancer growth (Narita, 2015), and a good balance of vitamins and minerals, can contribute to both cancer prevention and cancer suppression; as can reducing/removing the stress and chemicals in your immediate environment, avoiding vaccines and microwaves, feeding/consuming pre and pro-biotics and moving to the countryside with higher O2 levels, reduced pesticide use and background radiation. Lim, F. P. K., Bongosia, L. F. G., Yao, N. B. N., & Santiago, L. A. (2014). Cytotoxic activity of the phenolic extract of virgin coconut oil on human hepatocarcinoma cells (HepG2). International Food Research Journal, 21(2).